The substance that killed a woman in Amesbury was the same Novichok nerve agent that poisoned Sergei and Yulia Skripal, experts have confirmed. The independent Organisation for the Prohibition of Chemical Weapons report backs up the UK government's findings. Dawn Sturgess, 44, died in hospital on 8 July after handling a contaminated container, months after the Skripals were poisoned in Salisbury. The foreign secretary said Russia's recklessness was "appalling". Russia has denied any involvement in the poisonings. The international chemical weapons experts reached their conclusions having collected samples from the UK. It was not possible to conclude whether the nerve agent used in the two incidents was from the same batch, the OPCW said. Foreign Secretary Jeremy Hunt thanked the OPCW and paid tribute to the "high standards set by our world-leading scientists". He said it was a reminder of the importance of upholding the the global ban on all use of chemical weapons. "The recklessness of the Russian state in bringing a nerve agent in to the UK, and total disregard for the safety of the public, is appalling and irresponsible," he added. 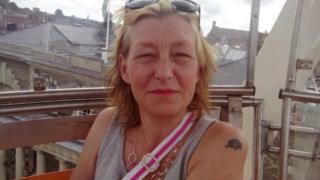 "Our thoughts are with the family of Dawn Sturgess, and with Charlie Rowley." Mr Rowley - a friend of Ms Sturgess - fell ill but survived the poisoning. On 30 June, the couple collapsed in a house in Amesbury, about eight miles from Salisbury. Police said they were exposed after handling what they believed to be perfume. Mr Rowley was discharged from hospital on 20 July. The Foreign Office said police investigations into the Amesbury and Salisbury poisonings were continuing. Meanwhile, the Russian Embassy in London has accused the UK of refusing it access to the Skripals. In a statement marking six months since the pair were admitted to hospital, the embassy said the pair had been "kept in isolation and under full control of British authorities". "They remain out of the public eye at an unknown location, unable to communicate freely with their relatives, friends, journalists or Russian officials, deprived of the freedom of movement," the statement added. Ms Skripal has previously thanked the Russian embassy for its offer of assistance, but said she and her father were "not ready to take it".